Nectarvis srl, holder of the registered trademark Fruteiro do Brasil, is Italy’s only supplier of frozen tropical fruit pulps with an integrated and synergic approach. 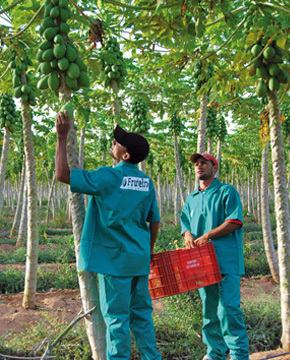 Through its Brazilian subsidiary, Nectarvis produces and distributes high-quality tropical fruit pulp. 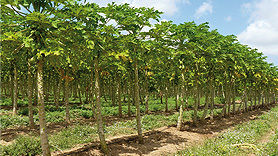 It directly cultivates in its own fazenda located next to the factory few of the fruit varieties, for which the quality control is vital to ensure the best quality of the final product. Nectarvis - Fruteiro do Brasil distributes the pulp through selected distributors in the HoReCa and artisanal ice cream channels and is present in several countries with juice bars both directly managed and franchised. It also offers the frozen pulp to its industrial customers as an ingredient for innovative lines of yoghurt, juices and ice cream. 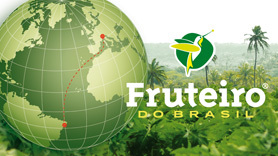 Fruteiro’s positioning is unique and capable of ensuring the highest standards of product quality and service levels thanks to its full control of the whole productive, logistic and commercial chain. Our frozen pulp factory is located next to the 95-hectar fazenda (also owned by Nectarvis) near the town of Cearà-Mirim, about 40 km from Natal, capital city of Rio Grande do Norte State, in Brazil’s Nordeste. Favorable logistics for exports: Natal is the closest city to Europe of all Americas and is a fast growing logistics hub: Natal has an harbor with rapidly increasing traffic and is planning to build Brazil’s biggest cargo airport within the next few years. 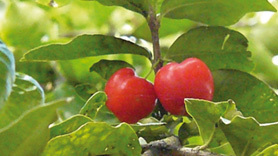 Opportunity to process in the factory some of the fruit varieties cultivated in the adjacent fazenda. This helps to ensure the best quality of the frozen pulp, by minimizing the time elapsing between fruit collection and processing, time responsible for the loss of nutritional (especially as far as vitamins are concerned) and sensorial value.